I can explain how plants and animals relate in different environments. 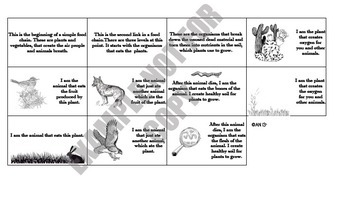 Students can manipulate sentences that relate to plants and animals and how they relate to the environment. 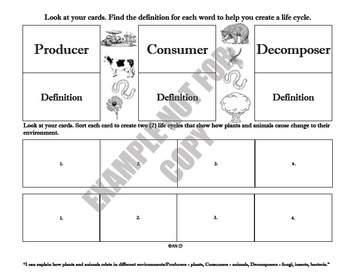 It uses vocabulary, definitions and desert cycle as well as forest cycle.